Never underestimate the fear power of a reptile. A single Russian lizard was recently responsible for the deaths of nearly 3,000 turkeys. An insurance company has been forced to pay out over 1.5 million rubles after nearly 3,000 turkeys in the Tambov region of Russia were spooked to death by a lizard. A lizard had strayed into the turkeys’ holding area at a poultry farm, causing mass panic and a stampede into a corner of the room, leading to the death of 2,848 birds by asphyxiation. “The cause of death of the 2,848 insured animals in the Tambov region was asphyxia as a result of pulmonary edema, because of a large pile-up of birds in one spot due to fright from a reptile that penetrated into the bird’s containment cage,” read a statement on the insurance company’s website Monday. After arguing their case and providing the necessary documents, Tambov Turkey received the insurance pay out of 1.57 million rubles (around $26,300 dollars). The internationally-owned enterprise manages over 660,000 turkeys which are insured against accidents, natural disasters, diseases and poisoning. It’s unclear which of those groups ‘lizard scare’ falls under. The exact species of lizard has not yet been determined. The lesson of these perished petrified poultry should not be lost. Lives are destroyed by fear based reactions. If one of them had yelled, “Charge!” and only about twenty others followed the attack on that lizard, thousands would have been spared. I think a determined band of angry turkeys could fend off almost any lizard, (or at least feed it until it is no threat to the others,) but imagine a hundred trying to attack to save the flock. 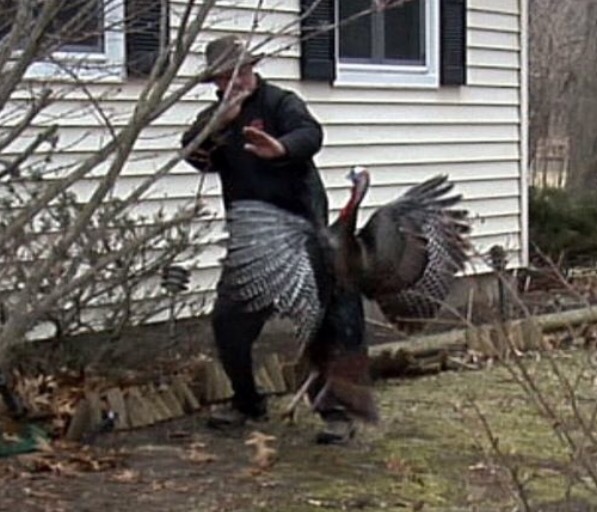 The answer is simple: turkey farmers should train their birds to attack any threat as a group. It’s not like a turkey would ever attack a human, after all. From this video, it looks like just a few of them could have saved the day in Tambov. Perhaps it was an alligator. In Russia? 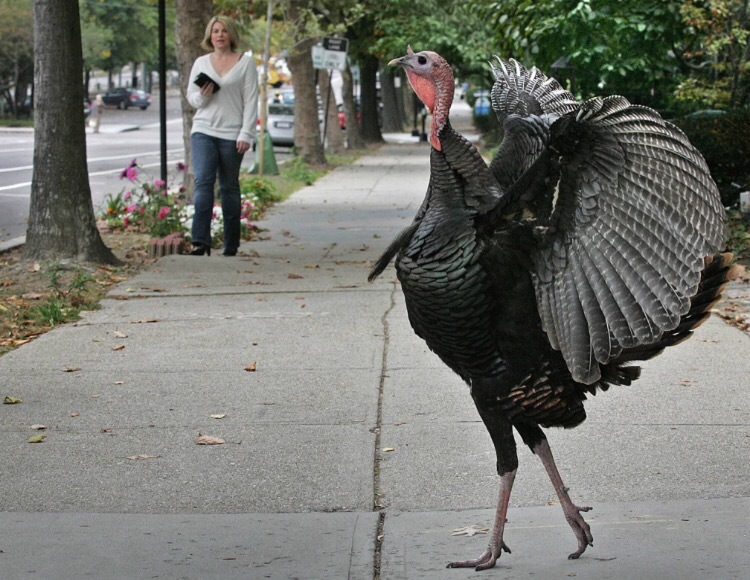 It may be that wild turkeys do not live in fear while caged ones have a different and darker reality and mentality.